" Thank you ever so much for the beautiful, profound and loving way in which you led us on our journey towards the birth of our baby." Birthing Together is about birthing your baby from a shared place of intimate love, deep connection, joy and safety. Using the metaphor of birth, I guide you and your partner, with the awareness of the Divine Love within us all, to a safe place where you can listen deeply to each other and your baby and drop into a safe letting go and joyful opening up to birth. Being made aware of the Loving Presence of Life you can birth feeling fully supported by everything and everyone around you. This photo may not be copied or reproduced in any form. Birthing Together is a 6 week birth preparation class for couples. The class not only covers the practical aspects of birth such as birth positions, massage, Acupuncture pressure points and emotional support, but its unique emphasis is on the Spiritual or Divine Presence that is present at the birth of a baby. I teach practical ways in which we can be made aware of this Divine Presence within all Beings at birth and how this Divine or Loving Presence is there to heal and teach us through the metaphor of birth. As a couple you will learn how important intimacy and trust is between you in preparation for birthing your baby together. With Birthing Together you will learn to move and breath together with your baby, in the presence of Love, to birth as a family with joy and connection. I consider every birth as a deep celebration of Creation. Every birth is natural, every birth is beautiful, every birth teaches us about our inner approach to life and reveals our inner beliefs about love, trust, ourselves and our universe. I celebrate every birth no matter what the story of the birth may be, as each one has a gift within the story and the greatest gift is in the meeting of another sacred Being. Further details and an outline of the 6 week course, locations, costs and payment options and a booking form. For details of the weekly pregnancy meditation for women/couples, please go to the page on this website 'workshops'.
" 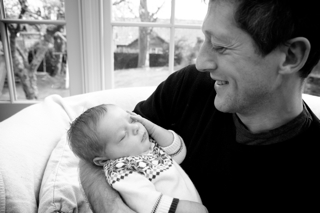 Keep up the good work - giving dads the chance to be active during their child's birth, for the benefit of all. "